First of all, thank you very much for having this interview with us. My name is Sílvia Vila and I’m here on behalf of Shenmue 500K. First up is a question from Scott: Who was the most difficult character in the series to design? 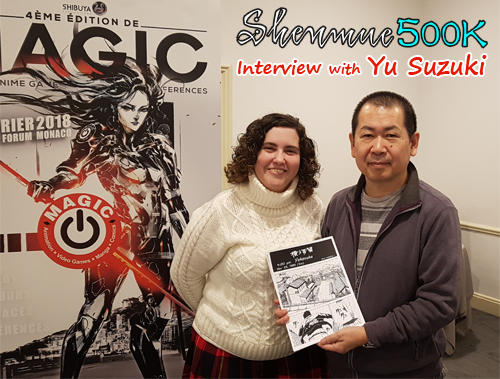 This is a question from Matt: Were the assets from Shenmue 1 and 2 useful for the creation of Shenmue 3, and will the flashback scenes make use of them? Yes. They have been really useful. Mainly, when we were at the early stages they were really useful for the rapid creation of images for things in the playfield and the towns. But since Shenmue 3’s quality is much higher than Shenmue 2, we had to stay on top of swapping them out. Also there are some places where the old images will be used as they are, in flashback scenes. Joel has been wondering: Will any sound effects be reused from Shenmue 1 and Shenmue 2, or will everything be recorded from scratch? Things like ambient sounds, birds in the distance, maybe even the QTE noises. Regarding sound effects, the plan is basically for all these to be made anew. Compared to the old ones, they will be higher-quality and in stereo, and I’m also considering 3D sound. I’m planning to have sounds like birds singing. And the sound of the river will gradually grow louder as you approach it. 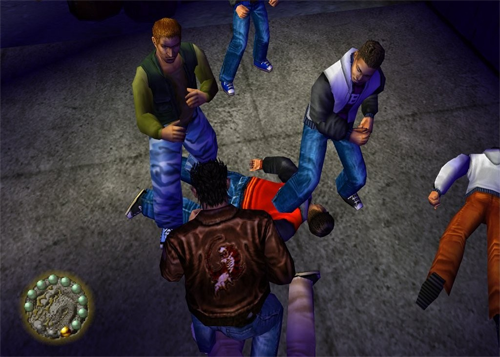 David wants to know if any of the fights in Shenmue 3 will be on the same scale as the 70-man battle in New Yokosuka Harbor? Anthony and Adam would both like to know more about the controls for fighting in Shenmue 3. You’ve described the combat as a “thinking-style” game, but is it still action-based, with button presses translating into moves in real-time? Dav has some queries about the fishing mini-game. 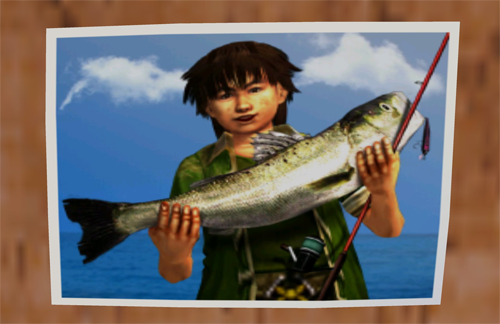 He’d like to know if the player can put the fish back in the water after catching them, and if there are any consequences of choosing not to fish? For example, missing important story events and so on. And finally, David brings up a comment you made in another interview many years ago, when you said, “If we listen to everyone, and correct everything, you end up with a game that looks like any other.” How difficult is it to uphold that principle now that you’re making a crowdfunded game? Do you feel as though your vision as director might be compromised by the conservative mindset of some very vocal Kickstarter backers? I’m not sure if this quite answers the question, but… Within a limited set of resources, such as development staff and the available time and so on, I think the most important thing is what you focus on when creating the game. So if you try to do all sorts of things, with everyone wanting to include this and that, you won’t be able to do any one of those things with any depth. In which case the outcome is that you may never get to the point of making them interesting. So I think it’s essential to carefully choose which elements are important, and work on them until they grow interesting.